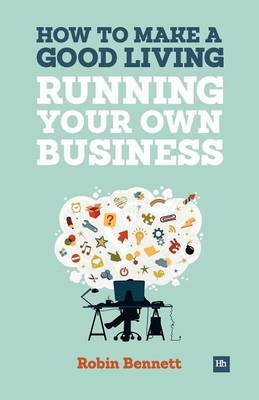 This is a brilliantly revealing, often laugh-out-loud guide for every dreamer, college-leaver and second career-er who has ever thought about starting their own business but fallen asleep in the first chapter of a typical business book. Based on what entrepreneur Robin Bennett has found to work over the last 20-odd years in business, it is a frank, witty and revealing look at exactly how to become your own boss without going mad or broke. Discover: - what a real USP looks like (and why it doesn't have to change the world, unless you want it to) - the simple secrets of effective business planning (from a man who has started more than ten businesses) - all the places you can get money to start your business (often for free) - the ultimate guide to sales and negotiation (and how to deal with others haggling your prices down) - how to hire the right staff and get the best out of them (without coming across like David Brent) - how to run a business every day whilst keeping a beady eye on the future (so that you don't go broke, your competitors don't put you out of business and you can grow healthily).This book is a detailed description of how to start a small business from scratch, with relatively little money, and how that business can give you a comfortable standard of living with little or no risk in the long term. Read it and find out how you too can make a good living and still live the good life!